Adobe Flash (s adbe) player on the Tegra 2 will come closer to a desktop experience than what prior chips have offered. That’s good news for folks who have seen some marginal Flash performance in the recent past. Nvidia’s core competency in graphics really shines. You might see that in the video, but I also saw a side-by-side comparison of the Fruit Ninja game on the Optimus 2X and the new Samsung Nexus S. The fruit on the Nexus showed small signs of blockiness, while the Tegra 2 device offered smooth, crisp images. It wasn’t too noticeable, but moving to the larger display of a tablet would likely magnify the difference. Nvidia is also demonstrating a Skype HD video call on an Tegra-powered Android tablet here at CES. 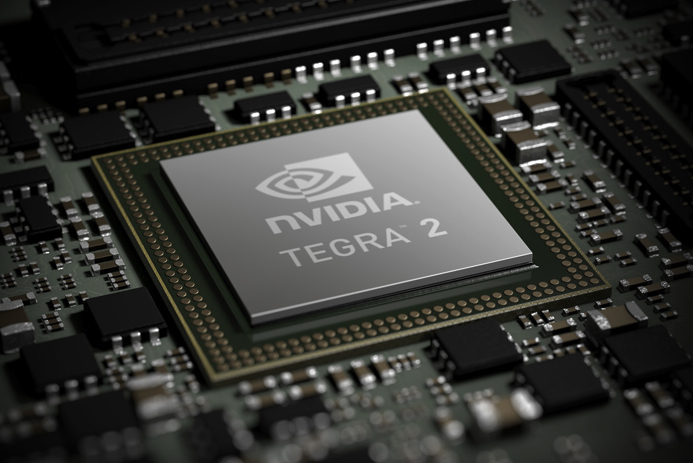 Nvidia is working with developers because there are some optimizations that can be taken advantage of with Tegra 2. Single-threaded code and processes can’t leverage the multi-threading capabilities of the chip, for example. A new Tegra Zone app will showcase software optimized for Tegra 2 with application purchases completed through the Android Market. General zooming, panning and scrolling were among the best I’ve witnessed on an Android device. It’s difficult to quantify, e.g., twice as good, 50 percent better, etc. … but it’s near that of Apple iOS (s aapl) devices I’ve used, just to give an initial frame of reference. After my brief hands-on time, I’m convinced that waiting to upgrade my Nexus One is the right choice for me. Last year may go down as the year of the 1 GHz smartphone, but 2011 is shaping up to be the year of dual-core handsets, 1080p playback and recording and superb gaming performance.